Reduce costs of sales and marketing? Outgrow your competitors even in difficult market conditions? Sign up to receive our blog posts by email! 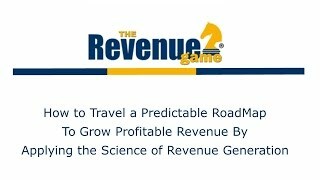 RICK MCPARTLIN founded The Revenue Game® and developed Revenue Science™ to help companies focus on the business survival criteria to continually grow sales and profits. Rick has held senior executive positions and consulted for many Fortune 500 firms (Sun Microsystems, Siemens, E&Y, Johnson & Johnson), Vistage and hundreds of small companies. He’s shared his passion for “revenue generation as a science” for more than 25 years at the Conference Board, professional conferences, Vistage CEO groups, and earned TEC Canada’s U.S. 2008 Speaker of the Year. Rick’s proudest achievement is the development of the Revenue Resources Required and the “Cost of Chaos” metrics to manage the growth of sales and profits no matter what is going on around you. Meet the Revenue Science™ professionals that have earned their certification. How might they assist you with your Revenue Roadmap? Wayne Anaka, President CEO, AVCON.WW inc.
Sanjay Malik, VP Business Development, AVCON.WW inc.
Bolormaa Nyamdorj, Managing Director, AVCON.WW inc.
Todd Ausherman, Founder, TSPN Inc.